We have put together the most common questions we get asked about purchasing a Car Care franchise and franchising in general to help you with your decision process. Most of these are covered in our free Car Care Info pack, a copy of which you can request below. If you prefer to talk to someone the pack includes the contact details of your local State Master Franchisor who will be able to tell you what’s available in your state. We encourage you to take your time and look at everything closely. Some of our current franchise owners took two years before it they decided the time was right. Can I choose my preferred territory? Yes, providing it doesn’t already belong to another franchisee. You can choose an area that you think has a lot of potential or you can choose an area close to home. We can provide advice on the best areas as we know firsthand which areas have high demand for our services. Why should I choose a franchise instead of just starting my own business? You are buying a business that is already tried and tested, with a known brand. You also have the support and expertise of the franchise system and the people within it. Finally, you benefit from extensive marketing of the brand. We currently spend over $300,000 per year marketing Car Care in Australia. Could you afford to do that if you started up on your own? The Franchise Agreement sets out the terms, fees and obligations of the various parties. We will supply you a copy of this agreement at least 14 days before you are able to sign it in order that, should you choose, you can take it to a Solicitor and fully understand it’s content. We also encourage you to read through and ask any questions that you may have. What type of Van can I use? There are a number of vans that are suitable for Car Care. We currently have in our fleet: Mercedes Vito, Renault Traffic, Hyundai iLoad, VW Maxi Caddy, Mitsubishi Express. The van must be White, Silver or Black (no other colours are acceptable). What happens if I want leave before the end of the term? This works in a similar way to a lease whereby you transfer the obligations under your Franchise Agreement to another party. This is most often referred to as an “Assignment”. Why does the agreement have a Term? Every franchise agreement has what is most commonly referred to as a “Term”. This is essentially because the Franchisor owns the Intellectual Property and licences that to the franchisee for a period of time. Depending on the Franchise System this can vary but in most mobile operations, where there isn’t a property lease involved, the term is usually around 10 years. Most of us don’t plan that far ahead so what we do is split this into two periods of five years – with the first five years often referred to as the “Initial Term”. This then allows for a break should circumstances change. The best place to start would be to download the free Info Pack. This contains pretty much covers everything you would need to get a feel for whether the Car Care business might be what you were looking for. From there we would recommend a catch up with your local State Master Franchisor who can give you the heads up on what’s available, both new territories and existing businesses that might be on the market or thinking about selling. Our aim throughout the process is to provide you with as much information as you need to make an informed decision. We go at your pace….we have some franchise owners that took 2+ years to make their decision! How long do people usually stay in the business? This is a great way to judge how strong a business is. 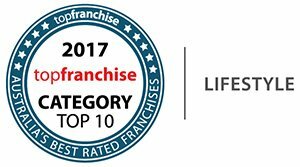 Over the 30 years we have been in business the average length of time franchisees stay with us comes in at around 7 years. We currently have over 20% of franchisees that have been with Car Care for 10+ years, one as long as 25 years!!! This will depend on the state/territory you are looking at and whether it’s a new or existing business. Contact your local state office to find out more. Does Car Care provide financing? The answer to this is quite simple, no we don’t. Having said that we can help you prepare a business case to take to your bank or other financial services company. What makes Car Care special? What would be important to you when determining if Car Care is special? Would it be how long have we been around? – Car Care commenced in 1987 – a long time! The fact that we are still going, stronger than ever, must say something about what we do and how we do it. During that period we have had to adapt to all sorts of changes, most of which, funnily enough, have little to do with detailing, things like – the introduction of mobile phones, the demise of Yellow pages in favour of on-line searches (Google was not even formed when we first started). On the Franchising side there has been the introduction of the Franchising Code of Conduct and subsequent amendments to that code. Would it be that we are the only national Mobile Detailing Franchise? in 2013 we launched in NT. The final part of the jigsaw was the addition of ACT in June 2015. This national coverage assists us in providing a one-stop shop for vehicle manufacturers that want to promote their cars across the country for things such as sporting events, product launches, car shows etc. Would it be our low start-up costs compared to earnings potential? Car Care would have to have one of the best ‘returns on investment’ (ROI) in franchising. If you consider that the value of most businesses is calculated on a multiple of profit i.e. you could expect to pay $200k-$300k for a business with an annual profit of $100k. With a Car Care franchise the start up costs excluding your van are just $42k. Would it be the fact that our business is simple to run? As an owner/operator you only need to worry about yourself. There aren’t the headaches of employing and managing staff with all the associated payroll and HR responsibilities. In addition your Car Care Franchise is mobile so there are no shopping centre rents to pay. The other major benefit of being mobile is you can take your business to the customer rather than sit there and wait for them to come to you. What options are there for financing my business? We can provide you with a draft Business Plan and assistance in putting the information together to take to your bank or other provider.